Helvetia Insurance is starting its fourth digitalization project, together with Kunstmuseum Basel. Over a period of three years, drawings from the Amerbach collection along with other 15th to 17th century works of art on paper by European Old Masters will be digitalized. They will thus become available to a wider art audience, researchers and future generations. This project underlines Helvetia's commitment to art and to the city of Basel. Helvetia Insurance and Kunstmuseum Basel are starting a joint digitalization project. The aim is to make key items forming part of the Kupferstichkabinett available online as each one is digitalized. Digitalization will simplify the management of the works and their maintenance, as well as providing new exhibition and publication opportunities for Kunstmuseum Basel. The collections will thus become available to a wider public, researchers and future generations. "With this digitalization project, Helvetia is not only helping to make the works of renowned artists more accessible and available to all, but also making a contribution to Basel, a city to which our company feels deeply committed", says Philipp Gmür, CEO of Helvetia. The Kupferstichkabinett, containing some 300,000 drawings, watercolours, prints and photographs, is one of the most significant collections of its kind in the world. The holdings of the Amerbach collection form a key part of the Kupferstichkabinett. For the digitalization project, 3,000 drawings including works from the Amerbach collection and 15th to 17th century works by European Old Masters acquired from other sources have been chosen. Some of these works are already very well researched, but it has not been possible thus far to enter all the information into the database and the digital images, where available, vary significantly in terms of quality. Over a period of three years the works will now be re-catalogued and digitalized. "The drawings are extremely light-sensitive and can only be displayed for brief periods. Thanks to the support of Helvetia Insurance, in the future we will be able to make these artworks available to a wide audience and to researchers", says Anita Haldemann, Head of the Kupferstichkabinett at Kunstmuseum Basel. The digitalization project with Kunstmuseum Basel is the fourth project of this kind that Helvetia is involved in, alongside projects with the Kirchner Museum in Davos, Kunstmuseum Luzern and Kunstmuseum Bern. When all the projects have finished, they will have created a virtual exhibition of the digitalized works. 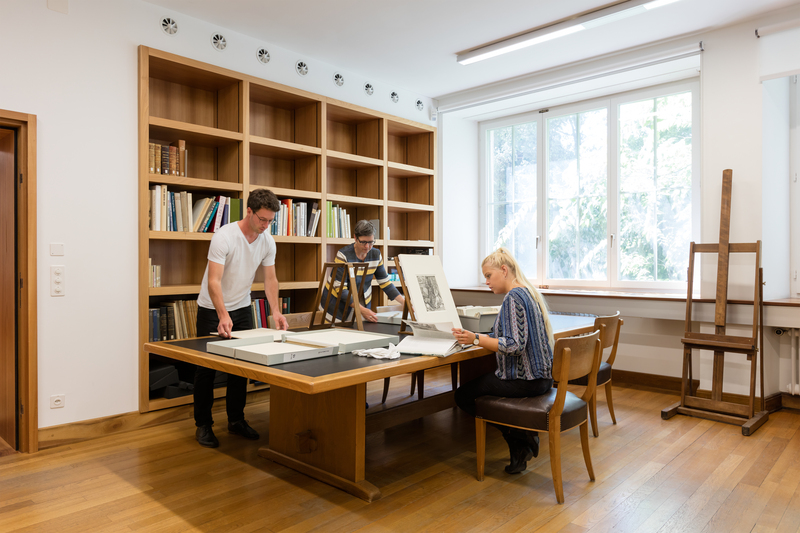 The digitalization projects follow on from a number of restoration and conservation projects which Helvetia and prior to that Nationale Suisse have carried out, for example with the Fondation Beyeler and the Kunsthaus Zürich. All of the above are aspects of Helvetia's wide-ranging commitment to art. Helvetia, itself an art insurer, has a collection of contemporary Swiss art which is considered to be among the most important corporate collections. The Helvetia Art Foyer in Basel, the company's own exhibition space which is open to the public, holds around four solo or themed exhibitions each year, also featuring works from its own collection. Finally, Helvetia awards the Art Prize each year which helps support young artists as they begin their careers. In almost 160 years, the Helvetia Group has grown from a number of Swiss and foreign insurance companies into a successful international insurance group. Today, Helvetia has subsidiaries in its home market Switzerland as well as in the countries that make up the Europe market area: Germany, Italy, Austria and Spain. With its Specialty Markets market area, Helvetia is also present in France and in selected regions worldwide. Some of its investment and financing activities are managed through subsidiaries and fund companies in Luxembourg and Jersey. The Group is headquartered in St.Gallen, Switzerland.